I was just going to load photos, but of course I have to comment. 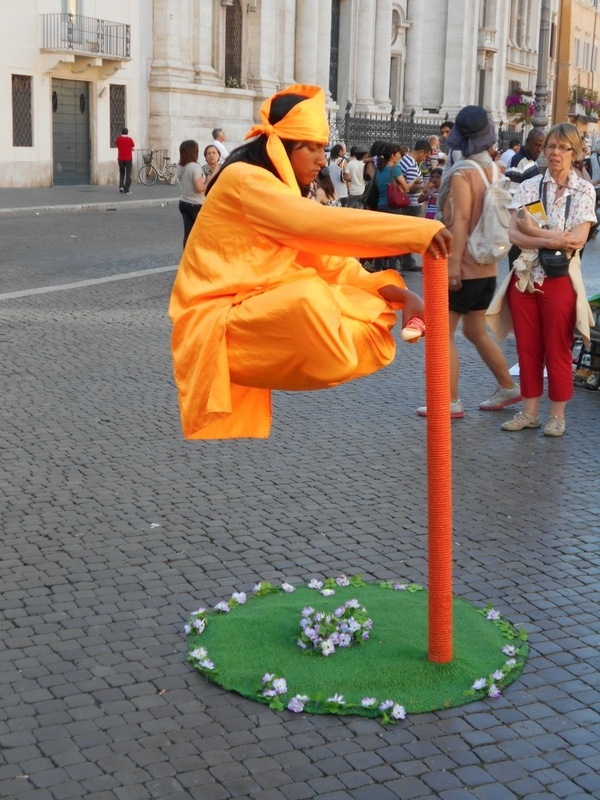 The magic trick, the woman in orange, was just one of many street shows in the Piazza Navona. 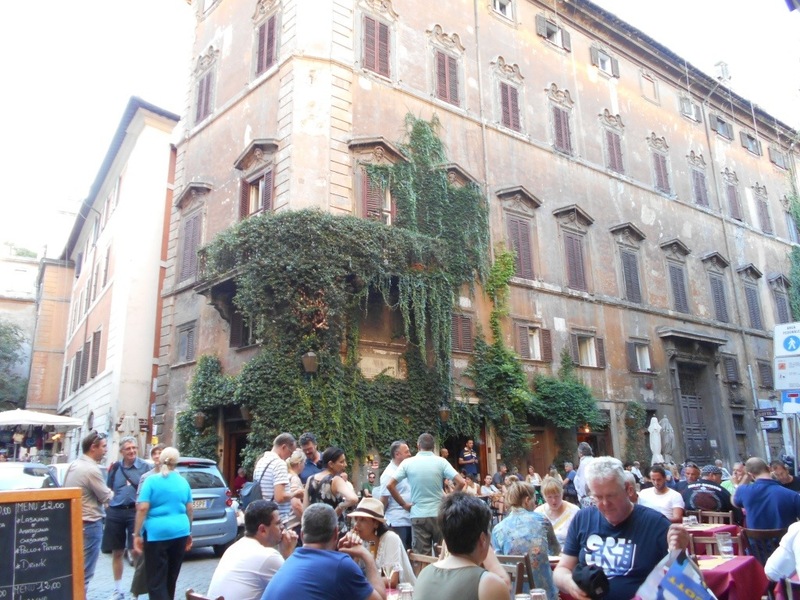 The little piazza with the vines on the building is at the other end of our street. 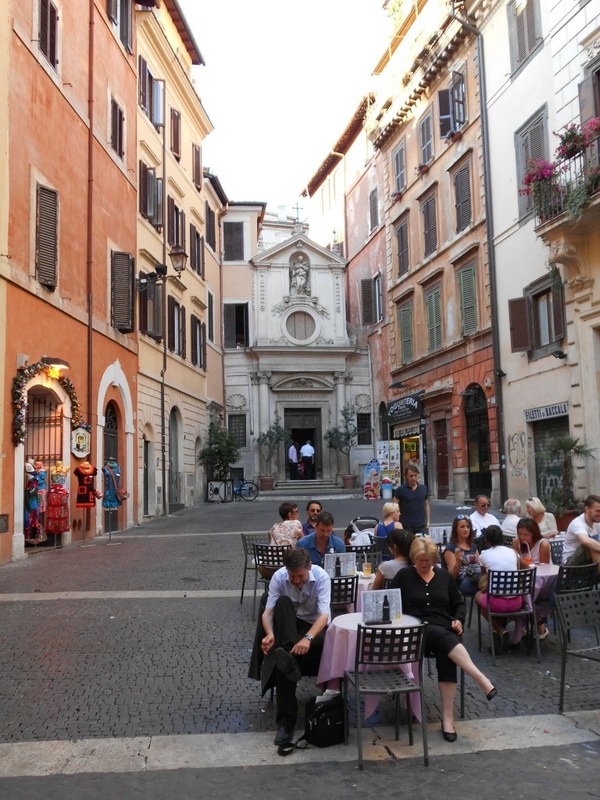 It’s Piazzetta Della Pace. Pace means peace. It is so beautiful. My other favorite piazza is Piazza Faranese. 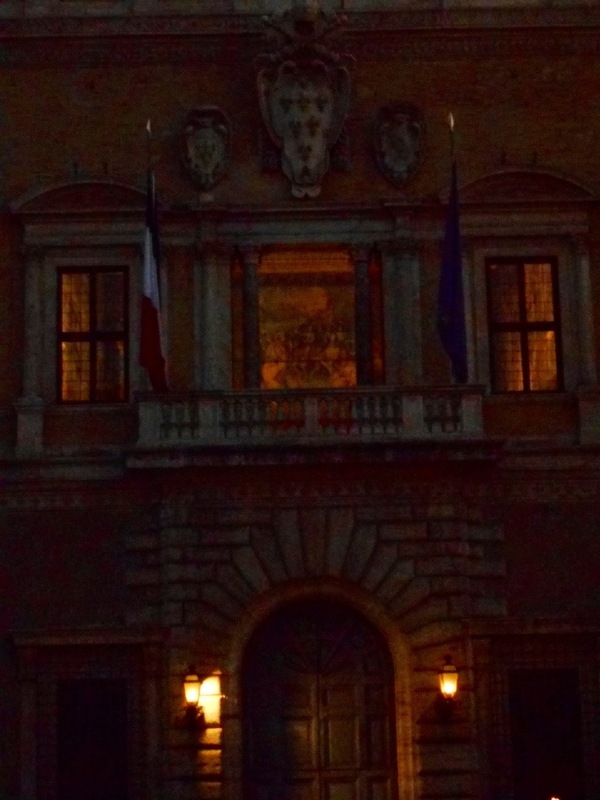 I tried to take a photo of the palace at night (the next to last one) but it doesn’t capture the beauty of it. 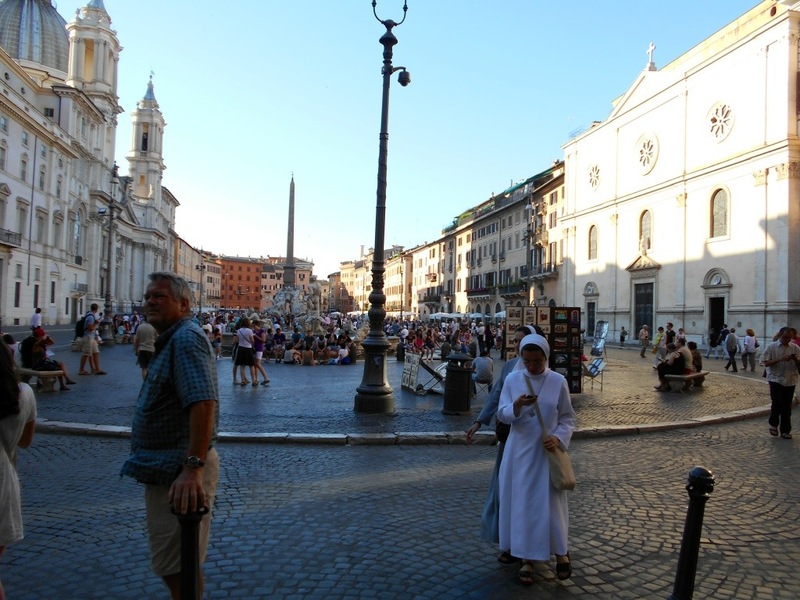 This piazza is about 30 yards from the crazy busy Campo di Fiori, but it’s quiet and stately with only one cafe and a restaurant in the corner. It also has two lovely fountains that have bases that look like old fashioned bath tubs. Sara–The woman in orange–how in the world did she do that? Do you have any idea? I have stared and stared at that photo and can’t figure it out. 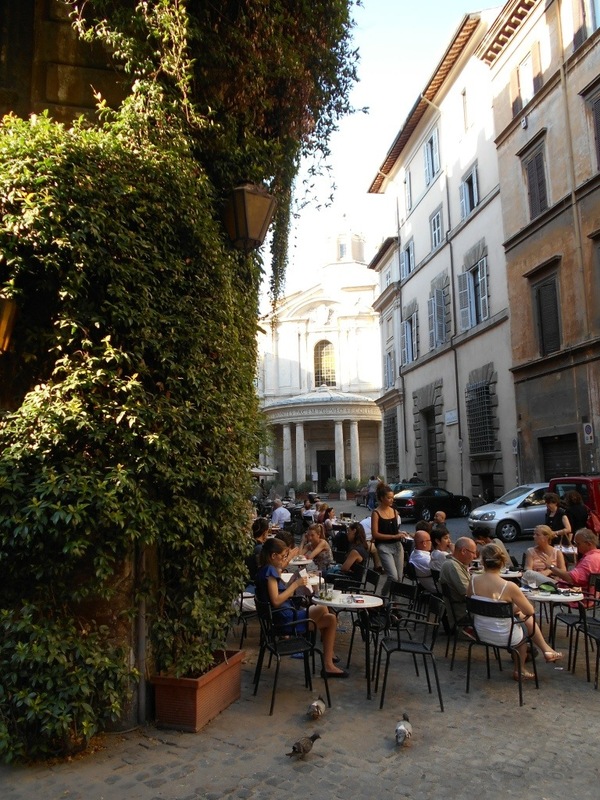 I love the cafes and all of the people sitting enjoying the lovely weather and sights. I just can’t wait to get to Italy! 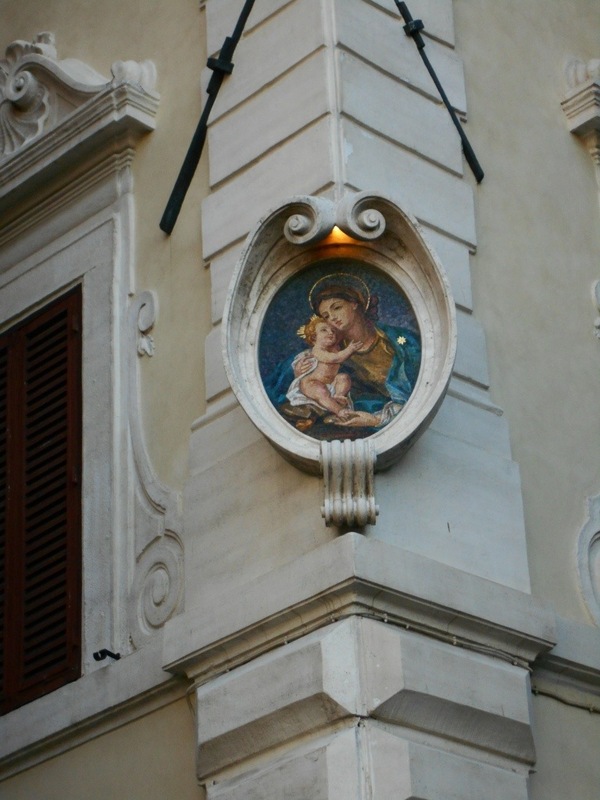 And, that building with the madonna and child?? on the corner–wow–so incredible. The colors and beauty…..just amazing–art is everywhere! Jana, you are going to love it here in July. Exactly– art, shrines, beauty every time you turn a corner or in the most unexpected places. About the woman in orange. Jack said to be suspicious of anything unnecessary, such as the large green base. We figured that under her sleeve and down her back is metal ending in a seat. 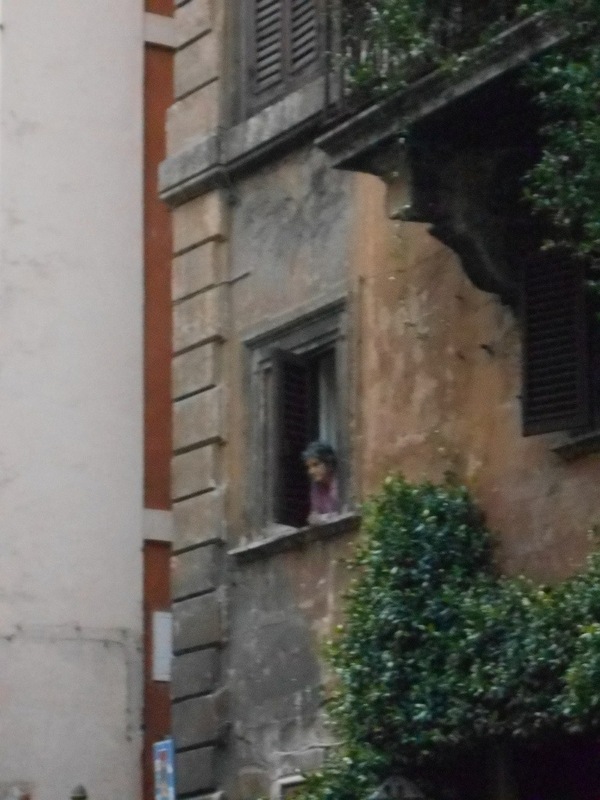 Still, it was fascinating at first, as if she were really floating. She also had lots of coins in her hat.